With Christmas just around the corner, having an oven thermometer is definitely one piece of kitchen equipment you don't want to overlook! The last thing you want is undercooking the food, ruining Christmas dinner or a nice Sunday lunch roast! 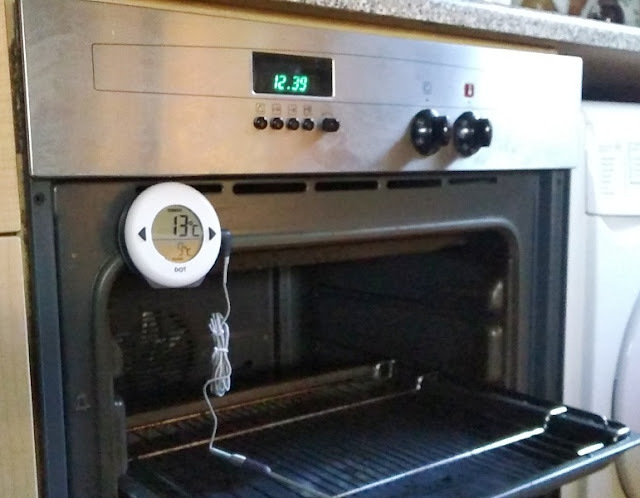 From leave-in meat thermometers and infrared thermometers to instant read thermometers like the SuperFast Thermapen 4 thermometer, there is no shortage of digital oven thermometers to choose from. 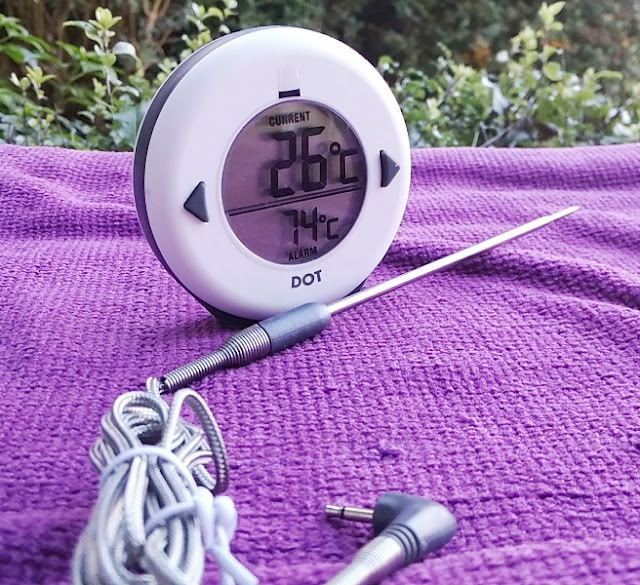 If you are looking for a reliable, quick and easy to use meat thermometer that'll beep at you when the food reaches a certain temperature, the ETI DOT meat thermometer is up to the job! 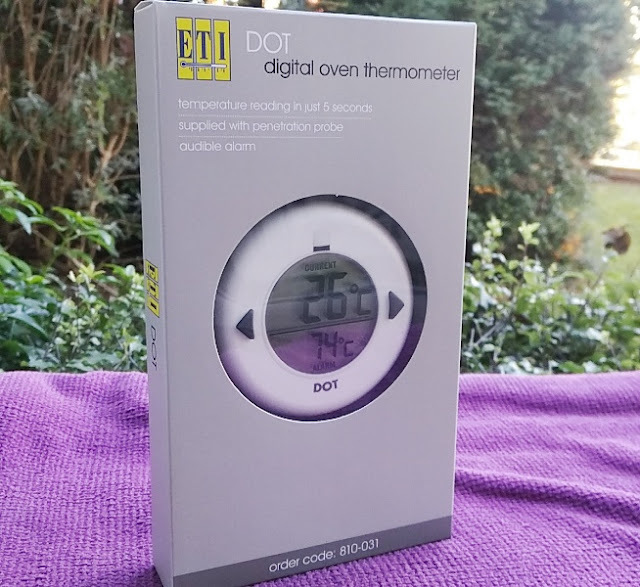 With this ETI oven thermometer you can easily set the temperature alarm, change from Celsius (C) to Fahrenheit (F) and stick it on the oven door thanks to strong magnets on the back. 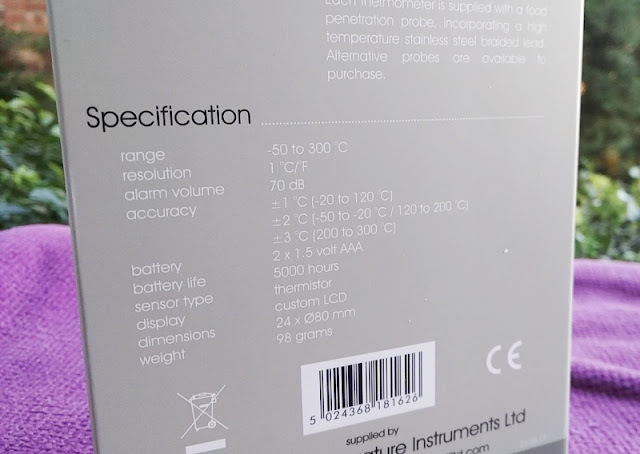 Not all oven thermometers come with a built-in alarm beep, which is a very underrated feature on a thermometer yet so useful. 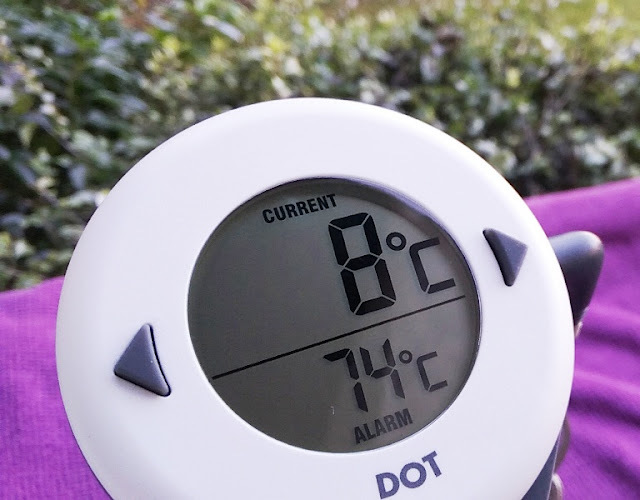 The alarm in the DOT thermometer is pretty loud (70dB) so no worries about not hearing the alarm go off. 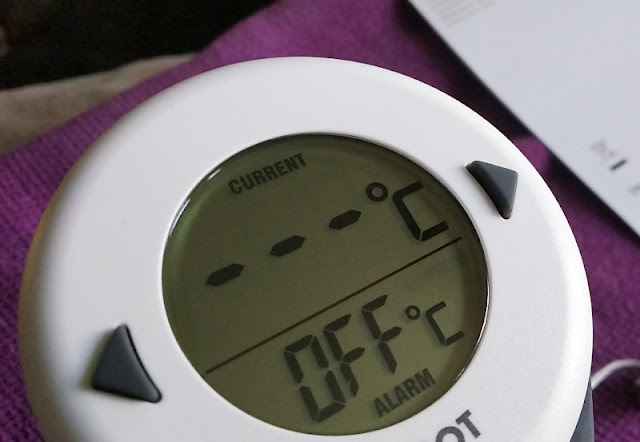 The alarm starts beeping when the temperature hits the temperature you set. 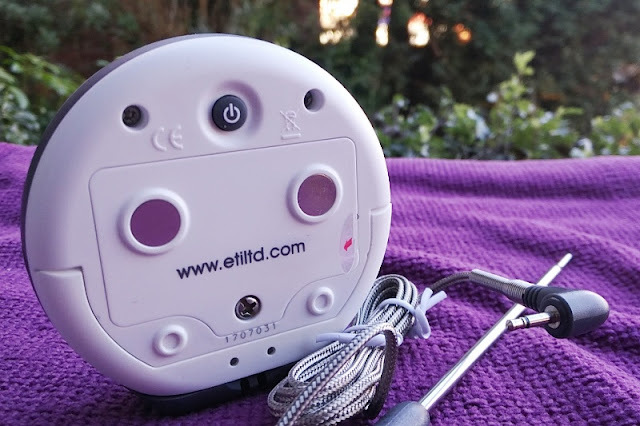 The ETI DOT comes with a DOT penetration probe made specifically for the DOT thermometer which features a reduced tip probe that takes approx 5 seconds to measure temperature. 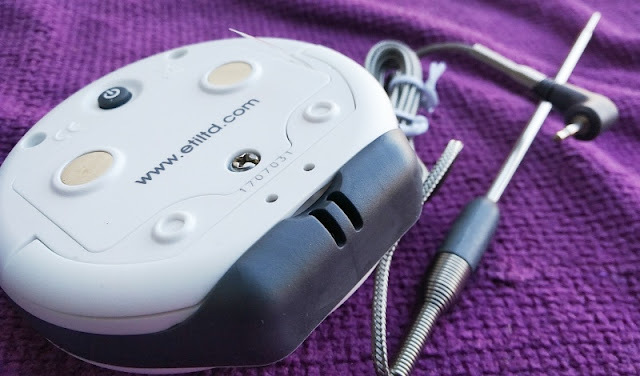 The DOT probe also features a 1.2 metre braided lead. 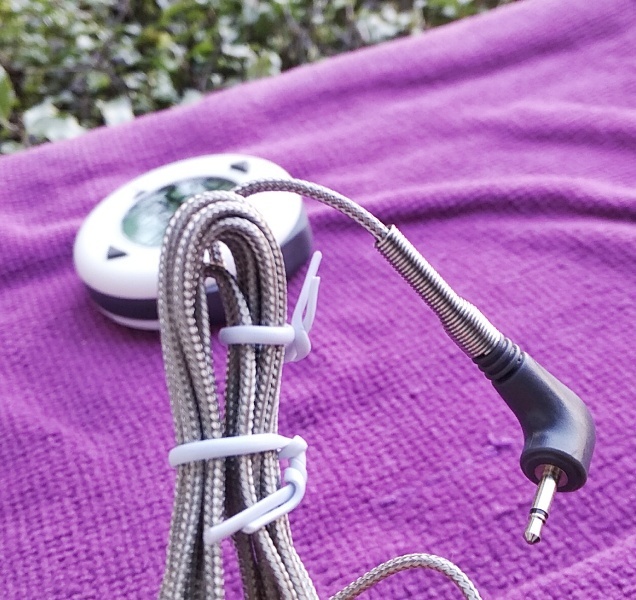 The lead and probe are made of stainless steel which is very easy to clean with a damp sponge. 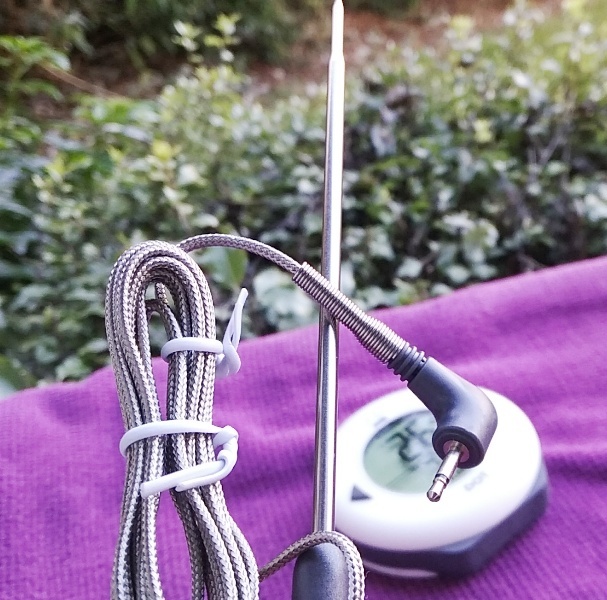 The DOT probe has a temperature range from -50°C to 300 °C with a Ø3.5 diameter and 150mm length. 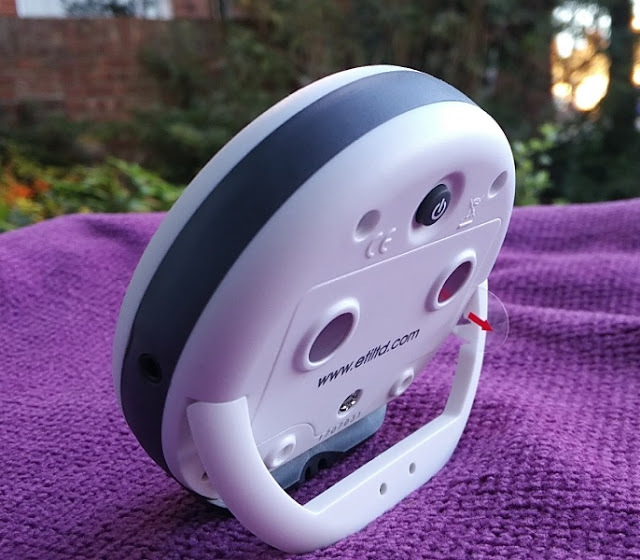 The thermometer itself weighs only 97 grams (including the AAA batteries) while the probe weighs 26 grams. 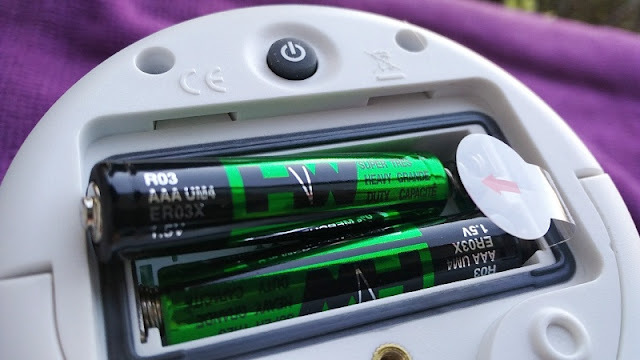 The AAA batteries are included with the thermometer and are R03 UM4 heavy duty long-life batteries. 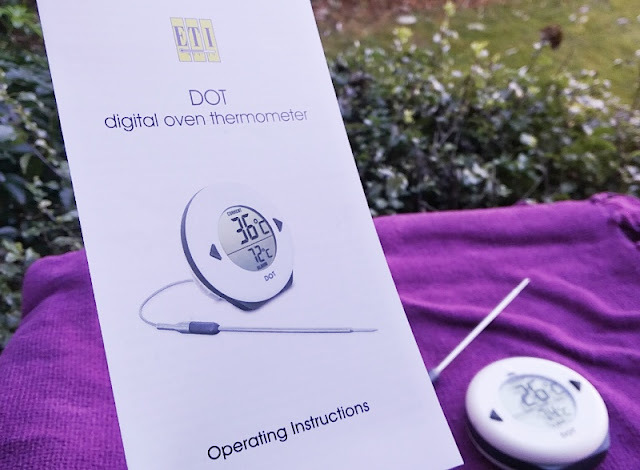 The ETI DOT thermometer has all the features you would want from an oven thermometer plus it looks nice. 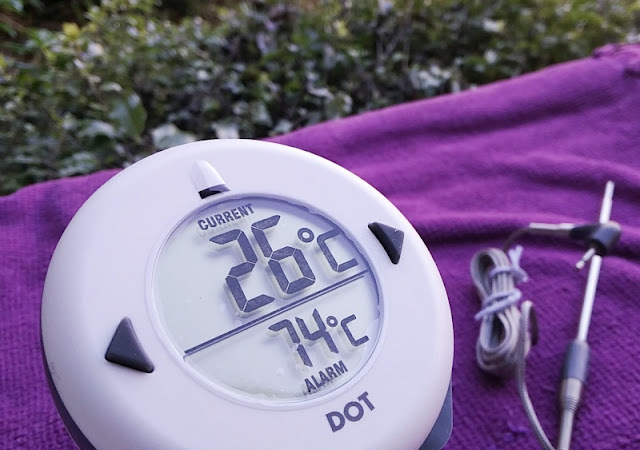 The DOT thermometer housing has a quality and robust feel to it that gives you confidence it will last well. 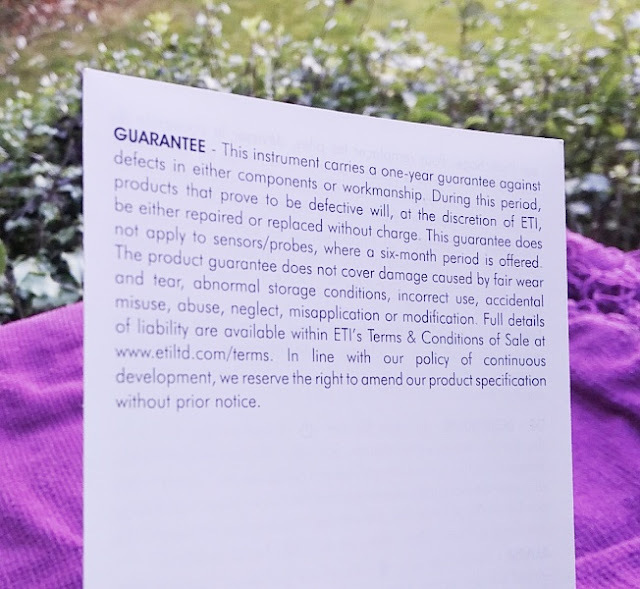 The housing is water resistant too (IP65 protection). 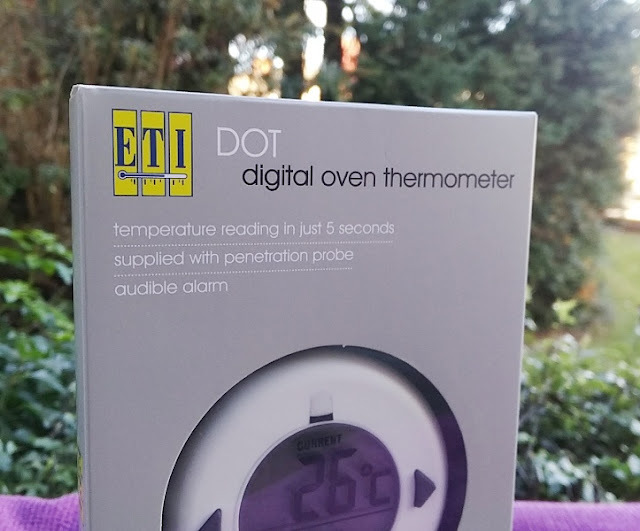 The DOT digital oven thermometer has a perfect 3-inch circular shape with a sizable LCD screen that displays both the current temperature and the alarm temperature. There are a total of three buttons. 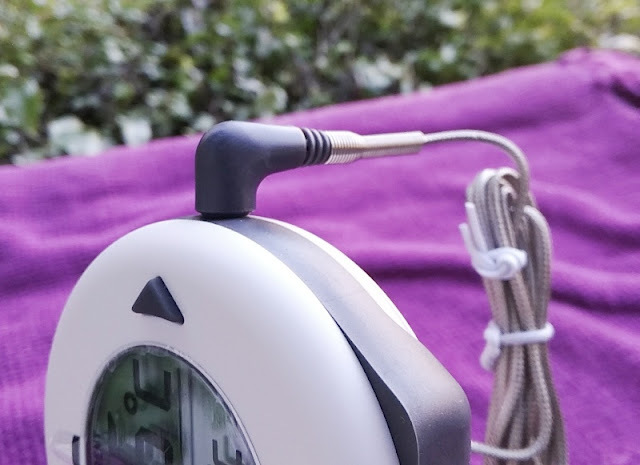 Two of the buttons on the DOT thermometer, which are located on the front, are for setting the desired temperature. 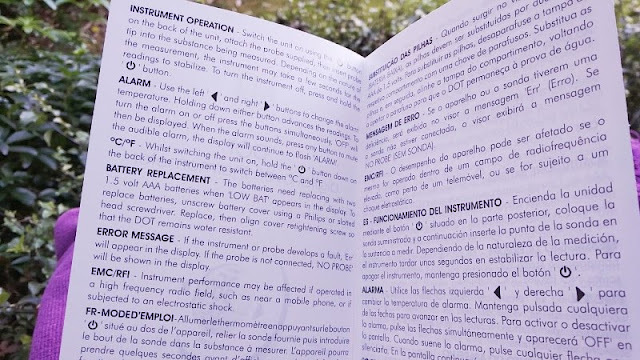 The third button is located on the back of the unit and has two functions: to power the unit and to change the temperature unit from Celsius to Fahrenheit. 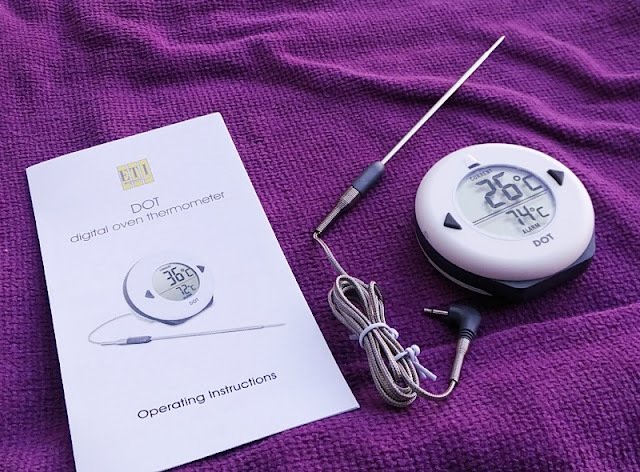 To change from Celsius to Fahrenheit on the ETI DOT thermometer hold down the back button until you see the letter C change to F or viceversa.